In this Feb. 7, 2018, file photo, a lion is shown in its enclosure at the London Zoo in London, England. Twenty-two-year-old Alexandra Black, a college intern who had been employed at a North Carolina zoo for approximately two weeks, was killed Sunday after a lion escaped a locked space. The Conservators Center in Burlington — between Greensboro and Durham — announced that the intern was killed during a routine cleaning of an animal enclosure at about 11:30 a.m. ET. 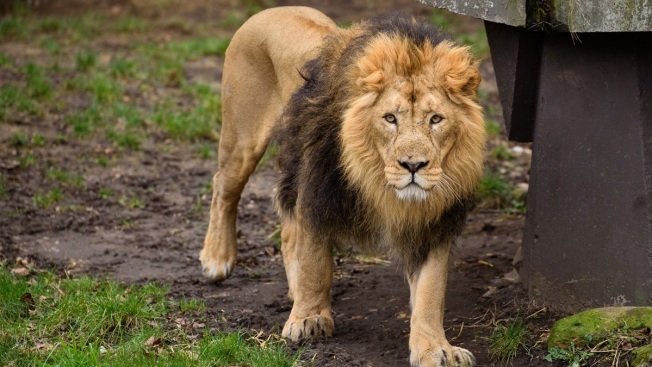 "While a husbandry team led by a professionally trained animal keeper was carrying out a routine enclosure cleaning, one of the lions somehow left a locked space and entered the space the humans were in and quickly killed one person," the zoo said in a statement.